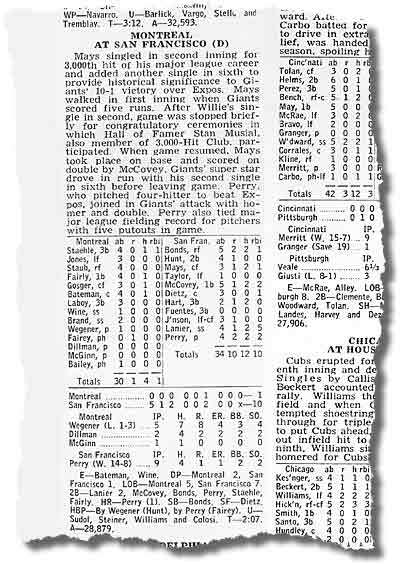 became the 10th member of the 3,000-Hit Club by stroking a single off Expos pitcher Mike Wegener, July 18, 1970. Mays was the first member of the Club to garner the historic safety on the West Coast and the landmark hit came just two months after fellow slugger Hank Aaron had joined the Club. The next member of the 3,000-Hit Club was Willie Mays' former teammate on the Santurce Club of the Puerto Rican Winter League back in 1954-1955! His name: Roberto Clemente.